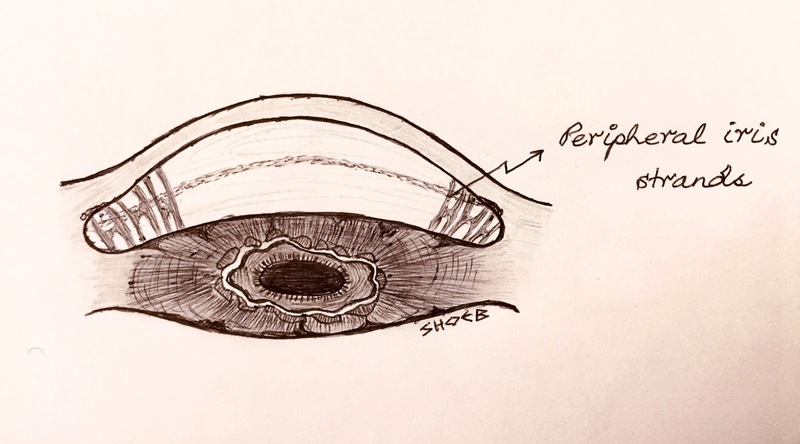 Individuals with malformations of structures of the anterior segment of the eye frequently develop elevated intraocular pressure and glaucoma. This post takes a brief figurative look at some of these conditions which lead to developmental glaucomas. 1. 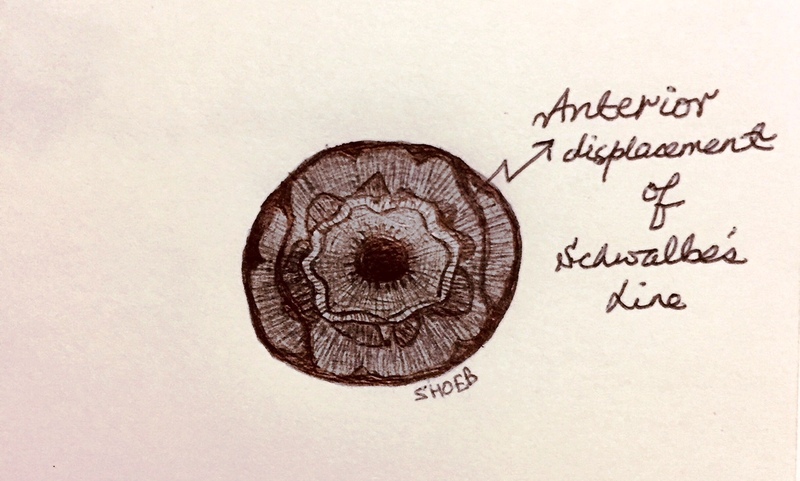 POSTERIOR EMBRYOTOXON: Characterized by anterior displacement of Schwalbe's Line. 2. 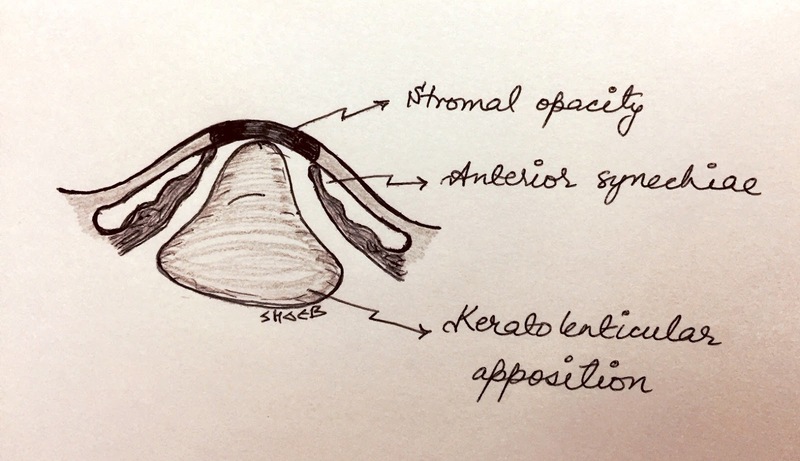 AXENFELD ANOMALY: Characterized by posterior embryotoxon and peripheral iris strands. 3. 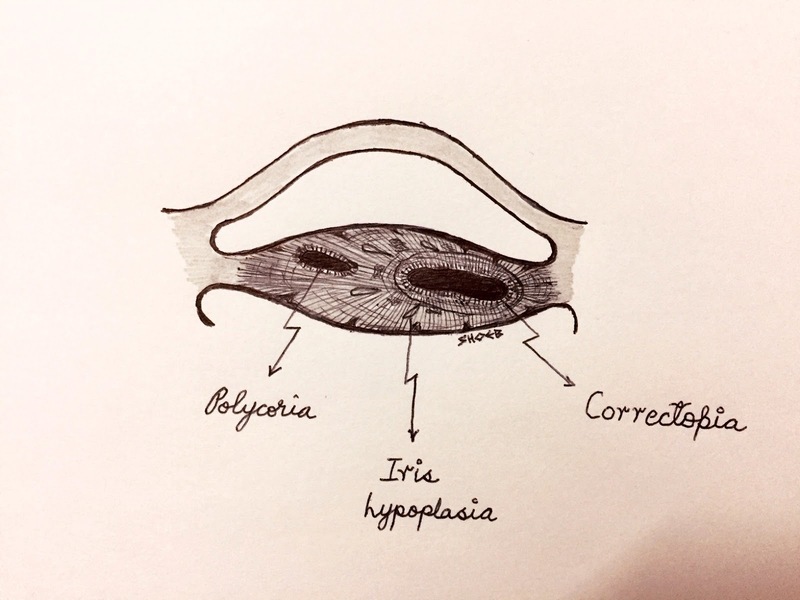 RIEGER ANOMALY: Characterized by iris hypoplasia, correctopia and polycoria. When Rieger anomaly is associated with systemic features such as: dental and facial defects e.g. maxillary hypoplasia; umblical abnormalities and pituitary involvement, it is called RIEGER SYNDROME. Association of Axenfeld anomaly and Rieger anomaly together is known as: AXENFELD-RIEGER SYNDROME. 4. PETER SYNDROME: Characterized by central or paracentral corneal opacity, absent Descemet's membrane and endothelial layers. 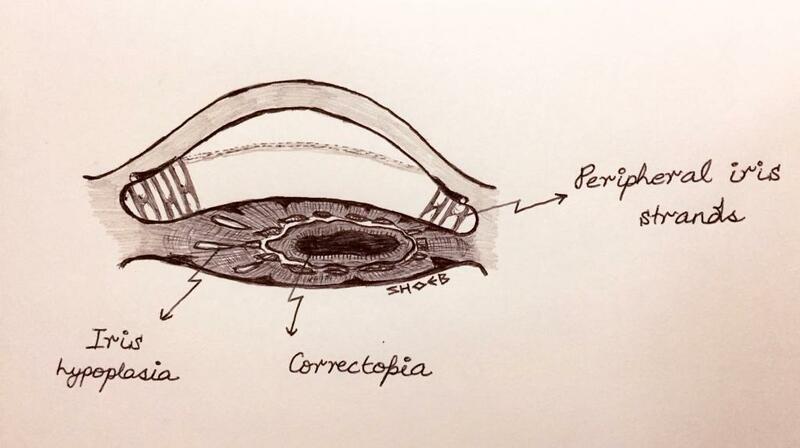 There are also iridocorneal adhesions from the border of the central corneal opacity. Peter's anomaly is of 2 types. Type 1 is unilateral, while Type 2 is bilateral in about 60% cases with lens adherent to the posterior surface of the cornea due to lack of separation between the 2 layers. 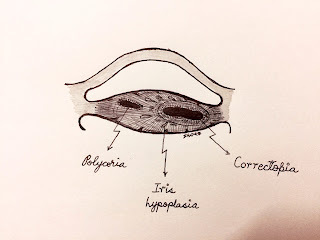 Type 2 is also associated with systemic features such as: short stature, mental retardation, abnormal ears, cleft lip and/or palate, defects of extremities, genitourinary system defects, cardiovascular anomalies, and gastrointestinal defects. Thanks to Prof Hommer for the correction.